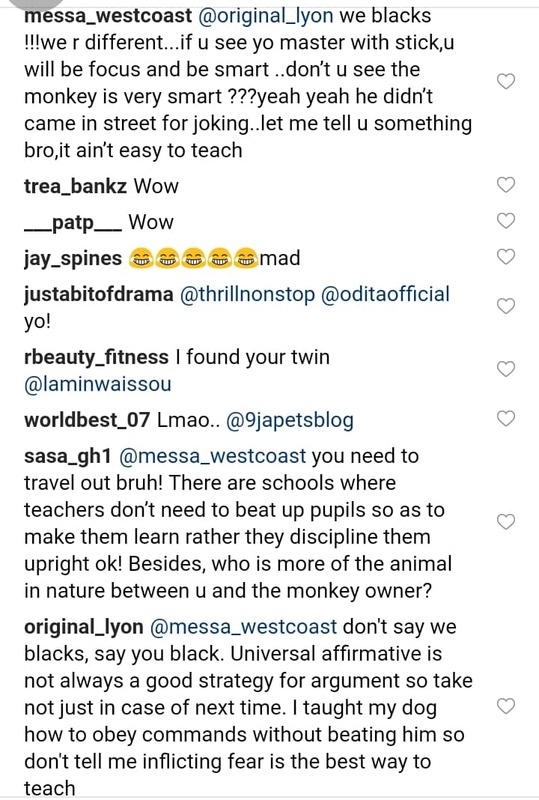 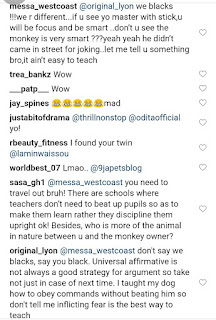 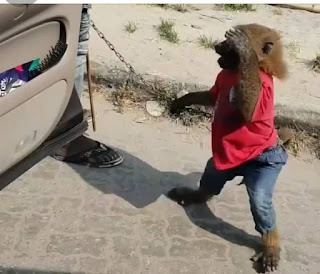 A man stepped out with his well trained monkey who understands Pidgin English and Yoruba language. 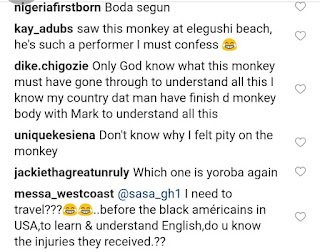 He gives the monkey instructions in Pidgin and Yoruba and the monkey carries out the instructions. 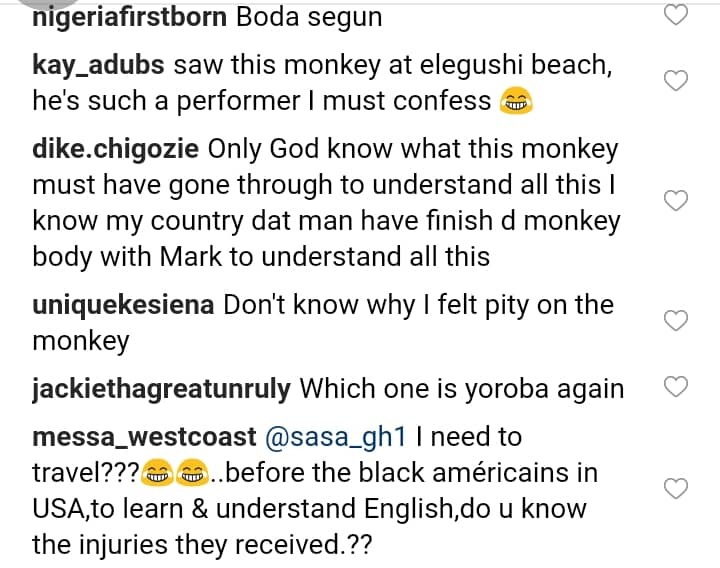 However, while some hailed the monkey for being smart, others have condemned the man who was with canes. 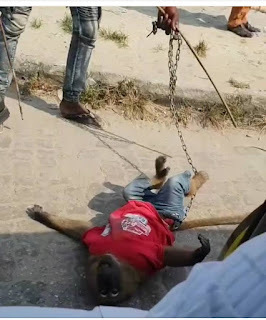 They accused him of animal cruelty and brutality. 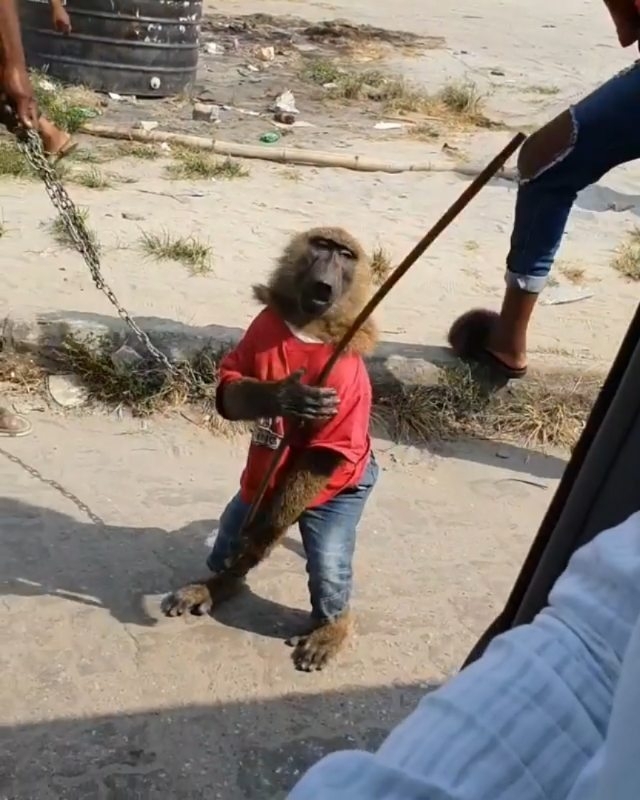 That he brutalizes the monkey.